Some things are better worn than said. 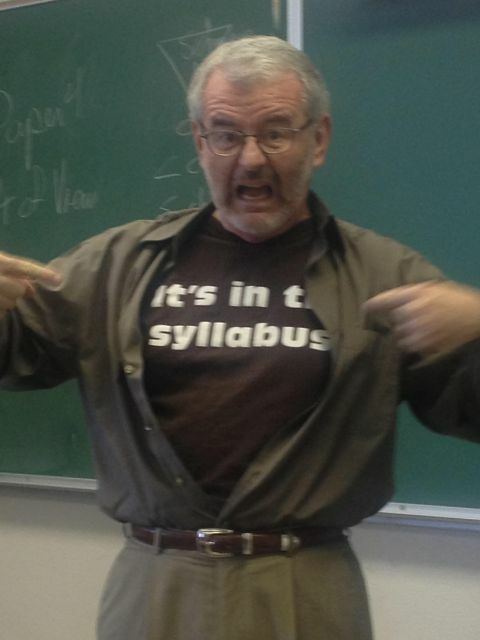 At least that’s what one Austin Community College professor of English thinks, based on his “It’s in the syllabus” T-shirt. Previous post Cartoonists are supporting it, will you?